An ancient castle nestled on a hill with a wonderful view, a casket rich in history and art. This is the location which the Grand Hotel Terme Astro offers you for unforgettable moments: a gala evening, a ceremony, a banquet. 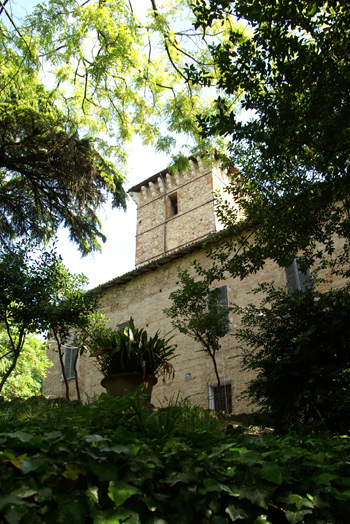 The castle's austere outline creates a harmonious contrast with the elegant sixteenth century courtyard, and the mighty fortified keep goes side-by-side with the hall and its rich frescoes created between 1864 and 1884 by the painter, Girolamo Magnani, Verdi's stage designer, and the wonderful gardens which gently lead down to the Bargone woods. In this unique setting, where different architectural styles are joined by the expert hands of time, top class entertaining is even easier for our staff, who can organise post conference dinners, wedding receptions, formal lunches, also thanks to a precise, first-class banqueting service. The menus are prepared by our chefs from the “Delle Calle” restaurant, able to conquer even the most discerning palate with tasty and appetizing dishes. From local cuisine to forays in more modern preparations, each course is presented with extreme care so as to add visual satisfaction as well as taste. The table becomes a theatre, where good cooking goes on show together with the pleasures of the table. 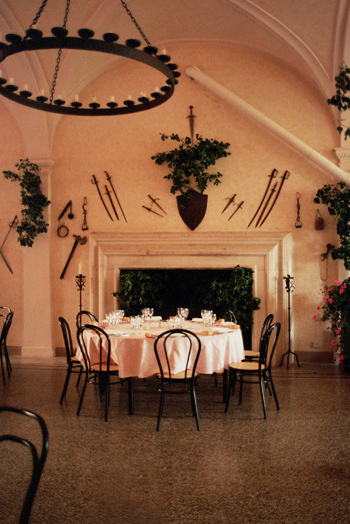 Careful attention to the table dressings: from the choice of fabrics, to that of the tableware and glasses, which, together with the floral centrepieces, revive the pomp and splendour of Giacomo Pallavicino's court. 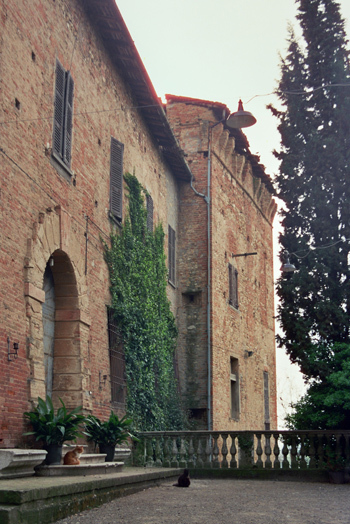 The origins of Bargone Castle are very ancient. The first nucleus, in fact, was constructed before 1000 AD. Situated in a strategic position, the castle owes its name to the precious salt deposits which were a source of wealth for the territory. Over the centuries, the ancient fortress passed through different hands. Up until the XII century, it belonged to the bishops of Parma, and then came under the control of the Pallavicino family, who were part Ghibelline, the owners of numerous estates in the Parma region as well as Piacenza and Cremona. The castle, surrounded by a large park and woods, was the scene of disputes and feuds, and in 1374, even a bloody plot. In order to deprive their uncle Giacomo of his wealth, his nephews, Francesco and Niccolò Pallavicino, masters of Scipione and Tabiano, killed him during a banquet. 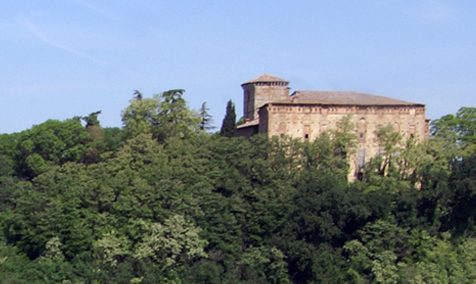 The demise of the family was marked by the passing of the castle into the hands of the Farnese family in 1600. The present proprietors, the Farioli family, have kindly given the Grand Hotel Terme Astro part of the castle to manage. Every castle worth mentioning has a ghost, and the Salt Castle is no exception. Legend has it that the ghost of Giacomo Pallavicino, master of Bargone, still haunts the castle. Decapitated in 1374 by his family members, who wanted to put their hands on his wealth, the spirit of the feudatory has never found peace, not even after having taken his revenge. It is said that one night, Giacomo's ghost visited his nephew, Francesco, one of the two conspirators, and the morning after he was found dead by the servants. A few years later, the same fate befell Niccolò, the other assassin. The ghost of the ancient proprietor settled the score with his enemies, but is condemned to haunt the castle forever.